Comment: Short, simple and sweet. 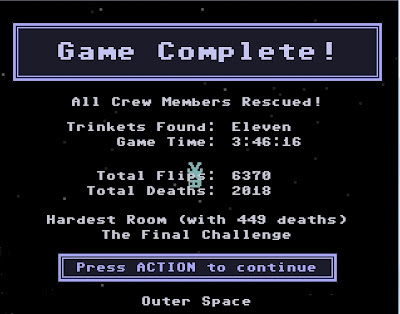 VVVVVV can be brutally hard at times, but the frequent save points and quick loads makes it addictively fun to die over and over again. That same addictiveness, and relative shortness of the entire game, might cause you to finish it in one sitting. 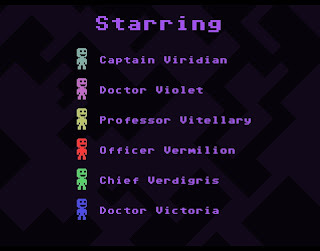 The title VVVVVV comes from the names of the 5 crew members and main character. 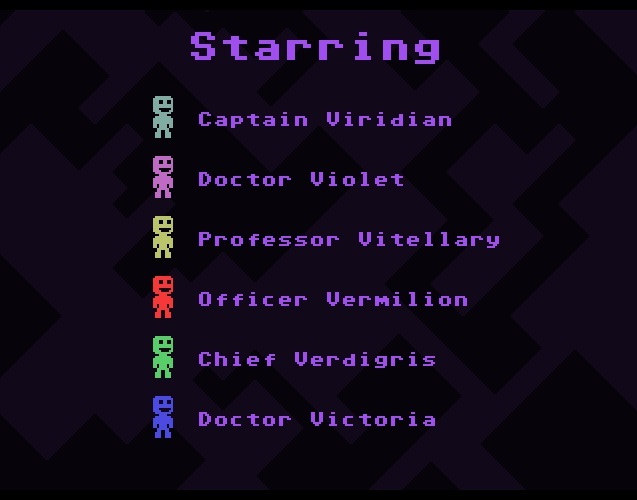 You are captain Viridian and have the ability of "flip" yourself, essentially allowing you to walk on ceilings like Spiderman. The captain travels across space (and sometimes different dimensions) to save all 5 of his crew members so that they can safely escape from the destabilized space they had stumbled upon. Along the way, spikes, gravity and touch-and-you-die objects constantly prevents you from achieving your goal. I guess the numerous spikes in the game also look like inverted V's? 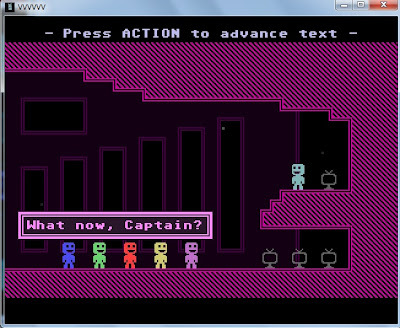 Like many indie platformers out there, VVVVVV is disturbingly hard. Some parts of the game require very precise movements and flips to get through. Luckily, save points are aplenty, allowing you to continue just seconds away from where you just died. And you do die a lot. But the reloads are quick and the game never slows down with a Game Over screen or restarting you far away from where you died. 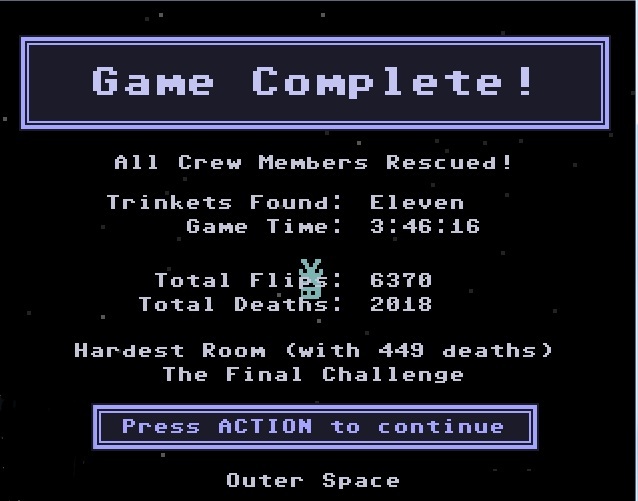 As you can see from this completion screen, it took me nearly 4 hours and 2000 deaths to finish this game. 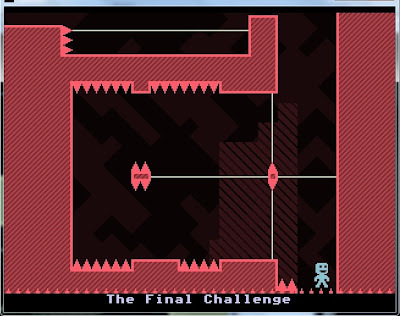 I'm not the best kind of player from this sort of precise platforming, so I guess most of you out there are going to take about 3 hours to complete the main story. After you complete the game, you could stick around to explore the rest of the map (I covered about 85% in my first playthrough, mostly because I got lost) or hunt for more trinkets which are.... stuff that let's you unlock more music for the game. There are also a bunch of other modes such as Time Trials that grades you based on how fast you complete a certain area or Intermission Levels that let you replay certain mini-games from the story mode. 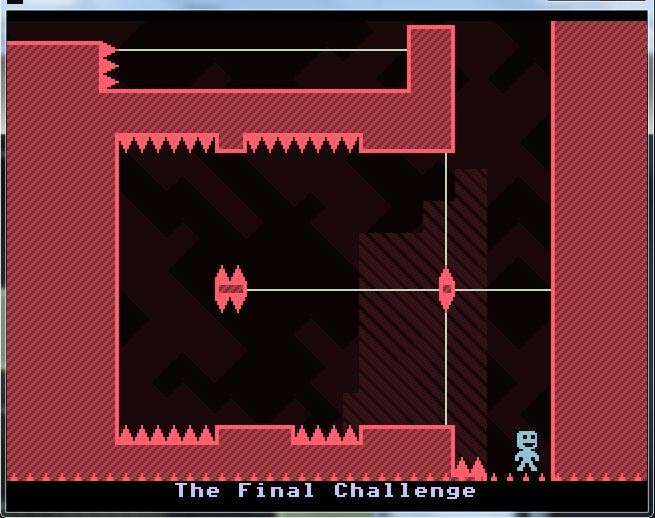 There's also a Flip Mode (all stages inverted upside down) and a No Death Mode (I have not unlocked this, but I assume it allows you to not die even on spikes). Plenty of value for the masochistic gamer in you. 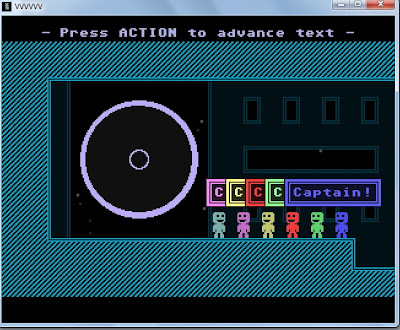 I bought VVVVVV during a Steam sale where a bunch of indie games were bundled together for US$5, which is incredible value for such an addictive game. Unfortunately, it is US$5 during non-sale periods and I would not recommend anyone paying more than 2 or 3 dollars for this game unless you really really love stuff like this. The content is sparse, main game short, but still a fun way to spend an afternoon.